Edited by iwols, 21 March 2019 - 08:21 AM. 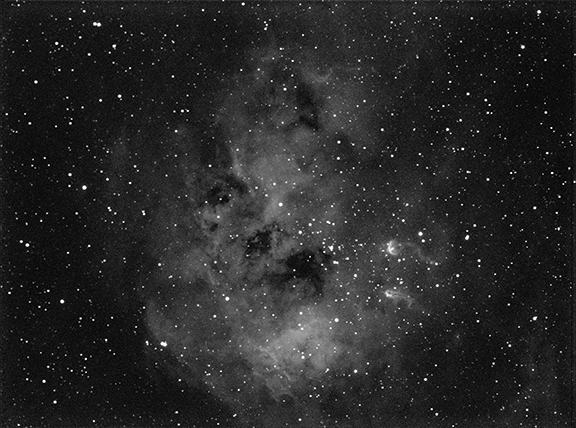 In the past when full moon was out, I used to image globs and open star clusters. These days I don't bother going out unless I need to test something. Image the moon. Getting good shots of the moon is fun. Its fun to process pic of the moon. Maybe an open cluster or two that have a selection of different coloured stars in them, see if you can drag the colours out - a lot seem to come out white only. Would need to be a close cluster, last nights viewing of the Beehive was "limited" as the cluster was 2x diameter of the view, maybe a bit more. Can you get the Coathanger all in? That has assorted colours, if I recall, but it is again not small. Would need to pull up Stellarium or Skysafari and see where the moon is and what is available away from the direction of the moon. Suppose the other answer is: Image the moon. But as it was rising last night it did look magnificent, white here and the atmosphere and angles magnified the size. ~6:00-6:30pm. Later it was the normal size. Any time the moon is over around 50%, I don't bother collecting anything but Ha for pretty pictures. I would revisit this one for RGB when the moon is out of the way. There are not a lot of narrowband targets this time of the year and the ones that are around tend to be close to the moon. When the moon is up its narrowband time, or imaging thats more down to a 'detection', like interesting asteroids, supernovae etc. For me anyway.